A third grade teacher, Amy Miska, has been teaching her students about the Monarch life cycle and migration for several years. This year she was able to procure a large Monarch Migration Station, paid for through the organization, Donor’s Choose. With this station, they hope to host Monarch butterflies possibly over the winter, but definitely in the spring and into next school year. Monarch butterflies are an endangered species and need our help to survive. William H. Frazier is working together as a school to help the Monarchs. 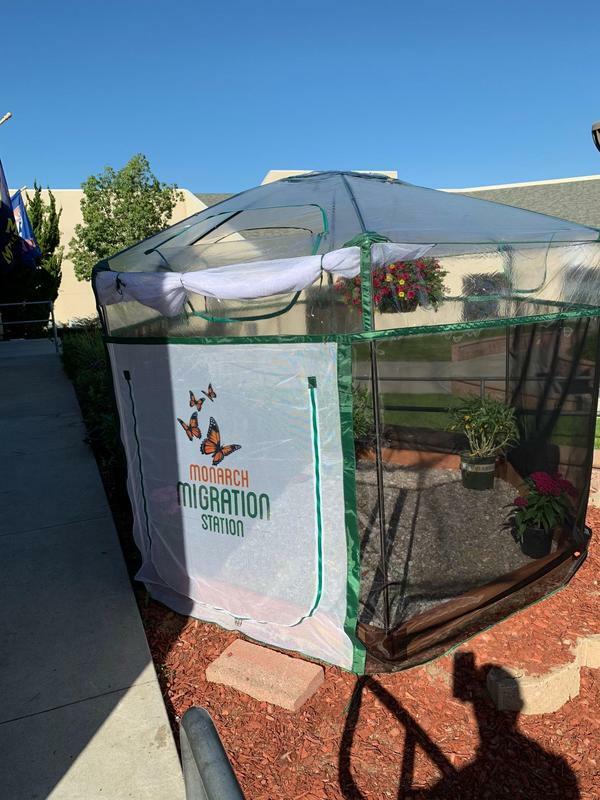 Their lead custodian, Mr. Josue Corona, single handedly tore out existing plants outside Mrs. Miska’s classroom and leveled the ground in order to create a safe space for the butterfly sanctuary. The school will also develop a milkweed garden in order to further support the butterflies whose caterpillars only consume the milkweed plant leaves to survive. William H. Frazier is doing what they can to help these important and beautiful pollinators survive and thrive in Fallbrook.